CROSS is Myers Park Presbyterian Church’s urban outreach ministry. This position provides coordination, administration and direction for the CROSS program under the general direction of the CROSS Director. • Assist CROSS Director with managing CROSS group calendar, scheduling work sites for CROSS groups and securing reservations for CROSS groups. • Coordinate visits by CROSS groups by setting menus, purchasing food, arranging for housing needs and other needs with MPPC staff and facilities. • Periodically lead devotionals, group team-building activities and offer ideas for recreational time for CROSS groups. • Assist Director with recruiting and training of guides and interns. • Provide orientation to the weekend urban ministry experiences. • Assist CROSS Director in marketing CROSS program to potential groups/communities in an effort to grow the CROSS Program regionally. • Monitor and serve with CROSS groups (on-site or check-ins) throughout the day, 2-3 times a week in the evening in conjunction with the Director (during summer program). • “On call” four out of six nights during the summer weeks / college-break weeks and over weekends when visiting CROSS groups are in residence. • Work in conjunction with CROSS Director in providing management of Cornerstone house, CROSS supply closet (Outreach Center), refrigerator, kitchen cabinet and sleeping rooms. • Performs other duties as assigned by CROSS Director. • This position supervises CROSS interns in conjunction with CROSS Director. • Bachelor’s degree in a related field with 3 years of related experience or the equivalent combination of education and experience and a committed follower of Christ with evidence of personal discipleship. • Ability to connect outreach to Christian beliefs, practices and scripture. • Ability to work both independently and collaboratively within a team. • Ability to establish and maintain positive working relationships. • Demonstrates strong administrative and organizational skills. • Accounting, budgeting, invoicing skills and proficiency with Excel spreadsheets. • Effective leadership and facilitation skills with both youth and adults, including speaking in front of groups and facilitating group discussions. • Ability to interact well and communicate (verbal, written and / or electronic) effectively with diverse populations including: ministry site representatives and clients, MPPC members, CROSS staff, youth and youth leaders. • Ability to assess needs and produce results in forging relationships and establishing partnerships with ministry sites throughout the city. • Ability to read, interpret and analyze complex documents. • Ability to interpret budgetary information and provide insight. • Demonstrates strong computer knowledge: Microsoft Office suite, intranet/intranet and database concepts. • Must be able to travel to local work sites and community connections. • Ability to successfully complete MPPC Child and Youth Protection Policy training and meet policy requirements. • Personal qualities of integrity, credibility and a commitment to MPPC’s mission. • Physical requirements include but may not be limited to: bending, stooping and lifting up to 25 pounds, frequent handling of files, books, boxes of documents, keyboarding operating a telephone and other office equipment. • Mental requirements include but may not be limited to: general math functions, intermediate reading, advanced reasoning, advanced speaking ability and advanced writing ability. • The employee is required to be mobile throughout the building and frequently attend off-site functions. 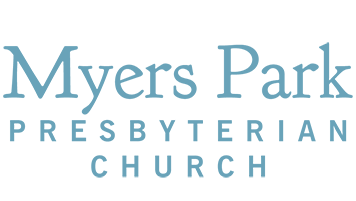 Submit a cover letter and resume to Lynn Williams, Human Resources Director, via email at lwilliams@myersparkpres.org.